Small Axe, the Caribbean Journal of Criticism, gets a new online presence. Its aim "is to participate in the renewal, as well as in the expansion and revision, of practices of criticism in the Caribbean. " Perhaps more popularly known for his Sydney Opera House, Jorn Utzon has taken the modern principles of architecture to capture the imagination of a people. His work attempts to create architecture for living that adheres to a strict structural and constructive process yet strongly influenced by local traditions. The works of Venezuelan architect Carlos Raúl Villanueva trace the conceptual evolution of the Latin modernity that prevailed in South America during the 1950s & 60s. 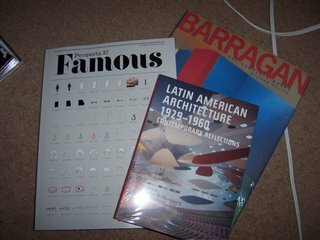 His work often played "homage to Le Corbusier's definition of architecture as circulation and as a play of forms in light," yet afforded a regional precedent to Latin American architects believing that architecture could be a apparatus for social betterment, cultural and urban rejuvenation. Fernando Távora's buildings were critcal constructions of modernity where he sought to integrate local and traditional principles into an otherwise Modern aesthetic. Despite the similarities of traditional houses with the values shared by Modern architecture, there is a sense of identity in his works created by the use of local materials, the inclusion of verandas and the respect for the Portuguese climate. Dubbed the father of "Escola do Porto (Oporto school)," of which Siza & Souta de Moura are included, he was instrumental in the contemporary development of the architecture in Portugal. "...the architect provides the stage on which the dance occurs," MoCo Loco interviews John Brown of Housebrand, "a new kind of architectural firm that makes good design accessible to the public"
Retail & food shops created from disused/reused shipping containers, dubbed pop-up shops "as the name suggests, these shops pop-up unannounced, do little advertising and a lot of business, and move on." Architecture & Morality has added a rather parochial perception of the critical regionalism A to Z; but as the description of that blog goes it is the musings on architecture, et al. The work of Alvaro Siza establishes a dialogue with the site, through its placement and its sensitivity to the materials added with a profound social conscience. His can be defined as Modern architecture that is nourished by the poetry of society and the environment. The work of Raj Rewal has simultaneously expressed both Modernity and regionalism, residing at the crossroad of the old and the new, blending traditional details with modern forms. The results are an oeuvre of contemporary architecture respectful of India's environment and history. Like many young architects during India's independence, Shiv Nath Prasad was keen to change the language of architecture to reflect the emerging nation. Along with Le Corbusier's presence, Modernism manifested in India and the works of Prasad found centre stage. His work was climatically sympathetic with a strong Modern aesthetic of bare-faced concrete with deep recesses to handle the Indian environment. Juan O'Gorman works were heavily influenced by European Modernists, especially Le Corbusier, his buildings are some of the first examples of functionalist architect in Mexico. Like his modernist mentors his work was not limited to architecture, embracing the fine arts as well particularly the painting of murals. His latter work however favored a heavier influence from Frank Lloyd Wright, producing a more organic form of architecture. He integrated vernacular forms with modern detailing creating a culturally, socially, and environmentally responsive architecture. Oscar Niemeyer was a contemporary of Le Corbusier, having collaborated on numerous projects in Brazil and France. His ouevre is modern in scope with its details have always been catered to the realities of its environment both naturally and socially. Niemeyer's work wonders with its concrete delight, despite emgerging from a communist aesthetic, always delivers the monumental. Glenn Murcutt's work is a mixture of pragmatism and lyricism, of contemporary forms, concern for landscape and respect for earlier civilizations. 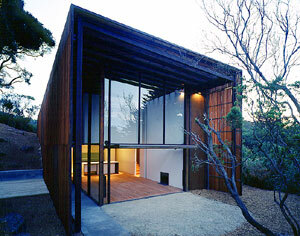 Murcutt's work synthesizes the high modernism of Mies van der Rohe and Alvar Aalto with such traditional precedents like the Australian wool shed creating architecture that is sensitive to their environments, and admired for being an identifiably Australian idiom in domestic architecture. In his words, "I've learned to be careful on the land, to respect the land, and to not allow the land, our mother, to be harmed." Arguably the father of Critical Regionalism, Le Corbusier's seminal work in India and South America have served as precedent for a generation of architects seeking to reconcile contemporary notions of architecture with the growing need for social and environment responsibility. Zaha Hadid's project at Spittelau, Vienna, is one of her most compelling yet. Too bad it has become possibly the most expensive and ill-conceived social housing in the world. Mexican Architects Kalach & Alvarez derive their basic vocabulary from the Corbusian and Russian constructivist slabs but are infused with a sense of memory and influenced by Italian and Spanish traditions. The Aspen Ski Company intends to turn green with a plan to convert entirely to renewable energy. Beginning as early as this June, majority of the hotels are to be powered by wind turbines. Aspen's purchase illustrates a small but growing trend for companies that use large amounts of energy. Weblog apartmenttherapy is featured as well in their article on the "Celebration of Small"
Can't sleep and found this rather prosaic look at some student housing projects catering for immigrant cultures. The works of Jarmund / Vigsnaes Architects are a nod to Modernism but are catered, like Aalto's, to handle the Norweigan climate at times even being shaped directly by it. In their words,"every commission should be unique with reference to its site and circumstances.” Their buildings despite the response to it enivirons however remain Modern in their aesthetic. Using mainly wood, Harwell Hamilton Harris exhibited a sensitivity to site and materials that carried on the American Arts & Crafts movement. Adapting from the vernacular of California and from the modular practices of the modernists he created a style of his own. Harris developed a regional oeuvre at balance with naturalism yet embracing a modernist ideology -creating works that exhibited a sensitivity to site and materials and at peace with the environment. Cuban Architect Pedro Martinez Inclan is the only architect I can find under the critical regionalist genre, does anyone know where I can find more information or suggest someone else to represent the letter "i". Tropical Architecture Critical Regionalism in the Age of Globalization by Alexander Tzonis, Liane Lefaivre & Bruno Stagno. From Amazon, "...a selection of essays ...on key issues in tropical architecture today. Alongside these are examples of work (both architectural and urbanist) from leading tropical architecture practitioners ... Ken Yeang, Michael Pearce, Charles Correa ... "
The first edition of the international consultation Celebration of Cities, launched by the UIA President Jaime Lerner, called on architects and students of architecture around the world to imagine operations of 'urban acupuncture' intended to rectify the imbalances and fractures from which today's cities suffer. Egyptian architect Hassan Fathy, utilized ancient design methods and materials to build structures with a modern Mideastern aesthetic. He integrated a knowledge of the rural Egyptian landscape and a wide knowledge of ancient architectural and town design techniques to create structures responsive to climatic conditions, public health considerations, and ancient craft skills for the modern world. His work offered criticism to the modern movement, adding personalisation and individuality to communal living in a ever constant desire in making humane spaces - especially for the poor. In the early 1930s, Sedad Eldem rejected the Beaux-Arts tradition and gave his support to early functionalism. Eldem's works developed partially from the nationalistic atmosphere of the new post-war Turkish Republic with the "creation of a modern national style" and borrowing from the plans of old Turkish houses. His works melded a functionalist language with traditional Turkish elements, however the results aways displayed a strict structural expression. SPACES offers a unique showcase setting for students from design schools around the world in which they can compete against one another for international recognition, gifts from sponsors and a cash prize. Over the course of the competition, the selected candidates will have many opportunities to display their design skills and techniques to TV viewers, industry professionals, developers and retailers from around the world. The designers will be required to complete a variety of challenging tasks utilizing all design mediums; interior, fashion, home décor, urban-living, furniture, accessories, etc. After initial study in Bombay, Balkrishna Doshi worked in the office of Le Corbusier in Paris (1950s) returning to India to supervise Corbusier’s projects in Ahmedabad and Chandigarh. Subsequently he formed the Vastu-Shilpa part architectural practice & educational foundation focussed on pioneering work in low-cost housing and city planning. BV Doshi's roots are evident in his works, softened and secured by the Indian environment showing a "sensitive adoption and refinement of modern architecture." New archi-blog this one by the folks at Olll.com, called pointingit, the concept of the blog is the integration of the 0lll architecture photographs database with Google Earth. This year's topic asks entrants to examine our profession from a totally new angle. Entrants are asked to develop a mission statement for a new mode of practice. If traditional practice is half as uninspiring as some young (and not so young) architects make it out to be, then the profession definitely needs a kick in the pants, and we see this year's essay theme as an opportunity to provide it. Charles Correa's work in India shows a careful development, understanding and adaptation of Modernism to a non-western culture. Much of his early works attempt to explore a local vernacular within a modern environment. His land-use planning and community projects continually try to go beyond typical solutions to third world or Diasporic problems instead identifying and understanding them as answers to universal urban problems. In the March issue of Artforum a large portfolio is presented featuring architectural responses to the disaster wrought by Hurricane Katrina . The proposals were solicited from MVRDV, Huff + Gooden, UN Studio, Morphosis, West 8, and Hargreaves Associates. Sri Lankan Architect (Geoffrey)Bawa was a recepient of the Aga Khan award for Lifetime Achievement in 2002. Highly personal in his approach his work tends to evoke the pleasures of the senses that go hand in hand with the climate and landscape. The intense devotion he brings to composing his architecture in an intimate relationship with nature is characterized by his attention to landscape and vegetation, the crucial setting for his architecture. His work is often described as the harmonious and pleasurable fusion of local building traditions with modern forms and sensibility. Bawa's work has served as a model for contemporary tropical architecture. 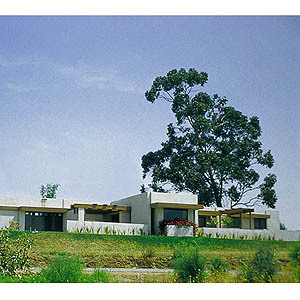 The works of Mexican Architect Luis Barragan appear to be carved from the Coliman landscape, part rock|part vegatation. From his journeys to France in the 1920s & 30s he became exposed to the works of Le Corbusier and the International Style. On his return he became increasingly aware of similar forms in simple rural dwellings in Mexico. By the 1940s his work began to take on the gentle mixture of the two, resuming the old traditions of his country in very modern ways. His works remain simple, but in solidarity with Nature always conscious of it surroundings. 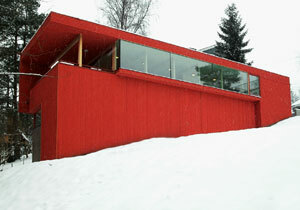 Like Aalto his works add colour, however rather explosive in a dramatic way to modernism's otherwise simple palette. Alvar Aalto's work was exceptionally broad in scope, however always having an essentially Finnish element utilising metaphors of the Nordic nature. His work borrowed from the International Style adding to it texture, color, and structure in creative new ways. He refined the generic examples of modern architecture that existed in most of Europe and recreated them into a new Finnish architecture. Aalto's designs were particularly significant because of their response to site, material and form. Hmm well with a little time off I decided to publish a manifesto I began writing a few years ago whilst in grad school. The theme is Critical Regionalism, a list from A to Z. 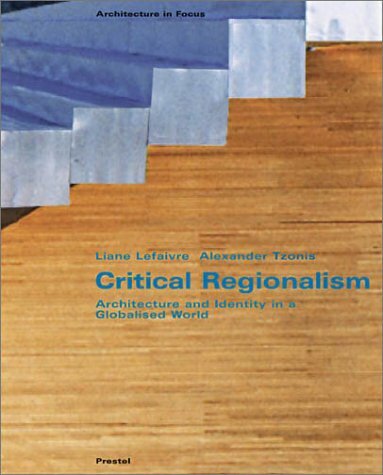 The term Critical Regionalism was first used by Alexander Tzonis and Liane Lefaivre and later more famously by Kenneth Frampton in his position paper "Towards a Critical Regionalism: Six points of an Architecture of Resistance." Without getting two heady, Frampton proposes that Critical Regionalism mediates between universally accepted practice and the particularities of place or locality, recalling the phrase, "think globally act locally." Further, that architects should adopt modern archtitecture critically for its universal progressive qualities but at the same time should value responses particular to the context with emphasis on topography, climate, light, tectonic form, etc. As this approach is neither formalised nor an architectural style per sae, this manifesto seeks to project examples of Critical Regionalism. Design for Africa is a project concerned with the application of this method and the recycling of materials. It will be implemented during a yearlong trans-african crossing, culminating in Kibera, Kenya, beginning October 2005. 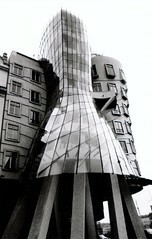 Frank Gehry's "Fred & Ginger"